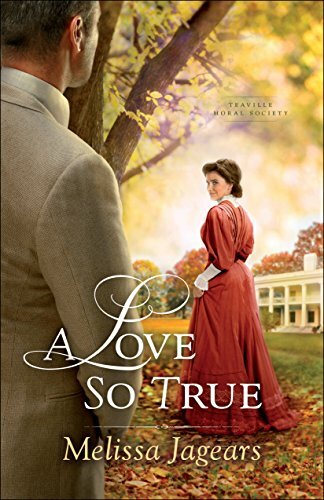 A Love so True by Melissa Jagears is a welcome addition to the Teaville Moral Society collection. In Southeast Kansas, circa 1908, a young man named David Kingsman arrived at A.K. Glass factory by his father. Always ready to turn a profit, David's father wanted him to get that factory ready to sell. Instead, David fired two "key" employees who Loafed on the job and settled in to make necessary changes to the factory. Hoping to impress a difficult to please father, David sees potential in the business that may prove it worthwhile for the family business to invest in this factory and the city. Evelyn Wisely is a young woman dedicated to the orphans in Teaville. Children of the local soiled doves lived in the orphanage started by Lydia and Nicholas Lowe. Housed in a mansion Nicholas built, the children thrive under Evelyn's care with the help of her parents, .....not content to house only these orphans, she visits other children on Saturdays to give them a much needed warm lunch to eat with a meaningful bible story. She was determined to feed their souls along with their bodies. It never seemed enough, however, to serve these children. She wanted to serve their mothers by helping them improve their lives by leaving the dreaded profession of prostitution. It takes one person to convince another to make a change in society. Caring for the unloved and getting others to see them as God's creation is no small feat. The perseverance and dedication to bring these unloved women and children out of such a deplorable lifestyle was an amazing fight that I don't know I possess. While this is fiction, the implications of the impact on those who did fight to make changes for the desperate women who were plunged low to a life of prostitution and alcohol were phenomenal. The children who were left in the wake of that lifestyle were left to fend for themselves. This is a difficult topic and Melissa Jagears engaged this reader's awareness in the midst of a wonderful novel. Evelyn and David develop a high regard for one another as the book tackles obstacles they must each overcome in order to be free to fall in love. There is so much more inside the pages of this book than a simple love story. I recommend this book with warmth for your summer reading pleasure. 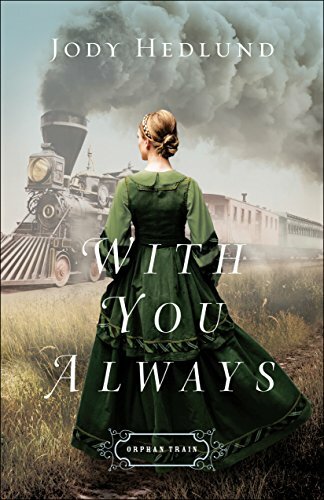 With You Always (Orphan Train Book #1) by Jody Hedlund is a very compelling book that will keep you going from the streets of New York to Quincy, Illinois. This is a story about a young woman overcoming great odds and emerging as a leader among some of the poorest of her time. The Neumann sisters, Elise, Marianne and Sophie lost both parents after emigrating to America. Life became just struggle after struggle for them. After the Financial Panic of 1857, Elise made the difficult decision to sign up with the Children's Aid Society, a group that worked under contract with many employers to offer women of good moral character employment opportunities. She left behind her sisters and two young orphan charges at a shelter in New York. She reasoned they would all be reunited once she could save for their fares to Illinois. This books is written about a time when so many immigrant women and children bore the brunt of poverty. Poor working and living conditions made their plight deplorable. An opportunity such as Elise seized, was a ticket out of poverty if she could earn enough to pay back her train fare, living expenses and other costs of employment incurred. Along the journey to Quincy Illinois she encounters Thornton, a man she briefly met in New York. He is handsome, attentive and takes her to dine at places she's only dreamt of. World's apart, and unknown to her at the time, he is the son of a wealthy man from New York. Along with his twin, he is racing to build a community along the Illinois Central Line, competing for the legacy of their dying father. His job is to build that city and marry a woman he loves within six months! While building the community in our story, Thornton discovers through Elise that under the facade of paperwork compiled by his assistant, there is real work for him to do. Ledgers often tell a different story than what is beyond an office door. Construction workers or Laundresses are much more than entries on a payroll list. What happens to Thornton as he really begins to build the community of Quincy Illinois is an uplifting transformation. He deserves to be cheered on no matter who wins his father's competition if only for his willingness to learn from those who he worked shoulder to shoulder with. I heartily recommend this book for so many reasons. While fiction, it brings to life the colorful people who had the faith and courage to leave the comfort of what was known for the unknown in hopes it was ever so much better for their families. Historical fiction such as this, written by Jody Hedlund is a catalyst for the reader to enjoy romantic fiction while spurring the desire to learn one more way just how our vast country was settled. A remarkable read, With You Always is a memorable story to read, and read yet again. Available June 6th, 2017 at your favorite booksellers. 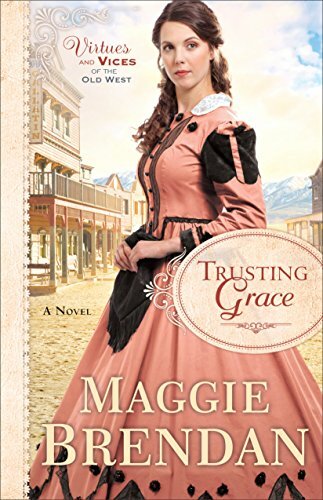 I recently finished reading Trusting Grace, Book three of the Virtues and Vices series by Maggie Brendan. It is a story of one man's journey to let go of the past and learn to trust again. It is also a story of a young widow who has all but giving up her dream of becoming a wife once more with the children she longs for. But more than this, it is also the story of second chances at life, love and happiness. Grace Bidwell's lot in life shifted dramatically when her husband died and her father became disabled. The farm her husband left behind is her livelihood. She has a potato crop to get in the ground and she can't do it alone. Posting a help wanted notice in the mercantile seems like her best option to hire a suitable farm hand. Taking a chance like this could backfire and net a scoundrel for an employee but Grace had very few options to draw from. Robert Frasier is stranger in town looking for work. He needs to support the three children his late wife left behind. She never told him about the children, nor her illness. Saddled with this responsibility after losing his wife and then his farm, he and the children roamed the countryside together, living off the land until stopping in the Gallatin Valley in Montana. His luck begins to change when hires on to help Grace with the crop. Robert promised to stay only until the crop was in but what he found on the farm was much more than he bargained for. The setting for this book is richly described and the reader can almost reach up and touch the forever blue skies of Montana. The characters are well developed with thoughts and concerns befitting of a time when the west was getting settled and communities began growing. From hoeing the fields to unpacking merchandise at the mercantile it feels like you are right there planting the potatoes with Robert or watching Grace bake rhubarb pies with the girls. Maggie Brendan is a very descriptive writer who keeps the reader interested in her books with colorful narrative and lively characters. I enjoyed reading Trusting Grace for many reasons. It is set at a time when there were so many possibilities. Montana was an exciting place to be after the Civil War. There was an air of being in a modern town with cultural experiences and a dashing hoodlum who causes havoc one can expect from the wild west! Times could be rough when folks relied on the weather for their livelihood but the rewarding ending to this story are encouraging. From the opening lines I knew I was hooked. 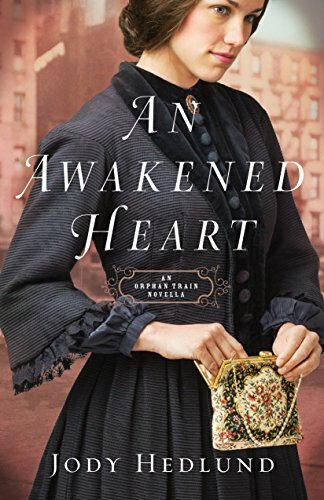 An Awakened Heart (An Orphan Train Novella) by Jody Hedlund is set in 1857. New York City is a hotbed of immigrant lives melding together to make sense of this new country that housed so many in so little space. People outnumbered jobs and housing was worse. Flimsy tenements couldn't be built fast enough. Families who dreamed of a better life were cast into disillusioned homes they shared with rats by night. An Awakened Heart is the story of Christine Pendleton and Guy Bedell. He, an ordained minister preached a message of hope to the hopeless prostitutes. She, a wealthy single woman yearning for meaning in her life began to volunteer once a week at the Centre Street Chapel. Two people so far removed by ordinary standards yet in classic Jody Hedlund style come together as naturally as though he had stopped for tea in her parlor. The characters are complex and the writing is so descriptive you can almost picture yourself alongside the women sitting on the trestle benches for a Sunday service. I found myself looking at the characters and wondering what would become of them. Young women wearing tattered clothes on bodies covered with the grime of poverty and shame. How can one sheltered young woman hope to encourage prostitutes to repent and rebuild their lives in an unforgiving city. One would almost think Miss Pendleton would have been trod on herself when coming to grips with the heart of this matter. With the stroke of a pen the author brought this woman to life in a very unexpected manner. When the story ended I knew there was much more to come. This era is an important time in the history of our country. It was a time of hope dashed and dreams buried beneath the harsh reality of a country that wasn't quite ready for the possibilities that lay ahead. I liked this story. Sure, it is a romance but it is so much more than a romance. It is fiction you can change the names but these compelling characters could have been any one of our ancestors who came to this country and faced such trials. Thank God there were unsung heroes like Miss Pendleton and Reverend Bedell had the courage to work among the poor women of this difficult time in our country. I can be allowed to be optimistic as I write this sitting on my side of history because I know the outcome of the hard work and resilience of those who came before me. I look forward to book one in the Orphan Train series, With You Always, coming June 6, 2017. 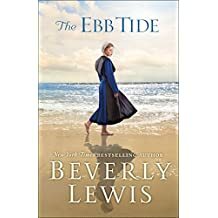 The Ebb Tide by Beverly Lewis is one of those special books that will live on in your memory if only for the lessons learned. Sallie Riehl is a young Amish woman who has looked around the bend since childhood. She is determined to take just one trip before she settles down and joins the church. Life circumstances alter her plans and she goes instead to Cape May, New Jersey for a summer job as a nanny. This delightful story is not at all predictable. The setting is rich with an historical beach that takes on its own life with its crashing waves, mysterious Cape May diamonds and sand castles. In the background is the Cape May lighthouse. As Sallie and Autumn fill their days with summer activities they both come to terms with choices that will shape their lives. Sometimes when life turns out a little differently than we plan, we can still find what we are looking for. This is a standalone novel and a wonderful way to start reading one of Beverly Lewis' many books. I highly recommend it for your reading list.